It took Liverpool and Egypt star, Mohamed Salah, just three years to transform from a Chelsea reject to being crowned African Player of the Year in Ghana on Thursday. Salah failed to blossom after moving from Swiss outfit, Basel, to Stamford Bridge, leading to him being loaned to Serie A sides Fiorentina and AS Roma, then sold to the latter.At Roma, his career took off as he scored 29 goals in two seasons and created 17 others to draw the attention of several English Premier League suitors. Liverpool made a successful £34.3 million bid and Salah has not looked back since, scoring 23 goals in 29 matches in all competitions.He has made a habit of bagging braces with the most recent helping Liverpool come from behind at home to edge Leicester City 2-1 last month.Seventeen of the goals have come in the Premier League, placing him second in the scorers’ charts, only one goal behind Harry Kane of Tottenham Hotspur. 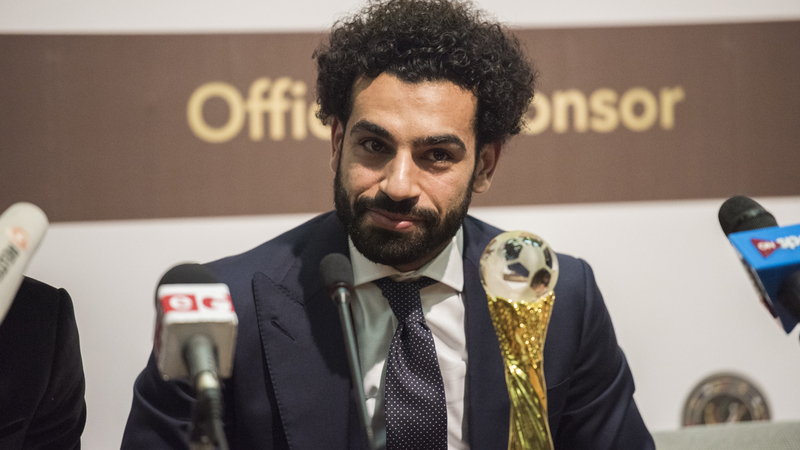 Apart from his Liverpool exploits, Salah last year helped resurgent Egypt finish Africa Cup of Nations runners-up and reach the World Cup for the first time since 1990.The African Player of the Year title completed an awards hat-trick after he was named BBC African Footballer of the Year in December and Arab Player of the Year earlier this week. It is a far cry from a few years ago when Salah was doubting whether he could ever become a regular scorer in a major European league.“Mohamed has been absolutely amazing and gives Liverpool a different dimension because his pace gets him behind defenders,” said former Liverpool star Ian Rush. “Before the arrival of Salah, opponents of Liverpool were happy in the knowledge that no one was going past them.”Another former Liverpool star, Gary McAllister, said the Egyptian combined individual skill with teamwork.“Mohamed has wonderful flair, but also works effortlessly for the side and is very much a team player. “He works his socks off for the badge and that is what really impresses me. He is also capable of scoring from all areas of the pitch.”Most Egyptian stars eventually play for one of the Cairo club giants — Al Ahly or Zamalek — before considering a move to Europe.But Salah never lined up for the “Red Devils” of Ahly or the “White Knights” of Zamalek, turning out for less fashionable El Mokawloon instead in the Egyptian capital. His goals attracted the attention of Basel, who signed him after Egyptian domestic football was suspended in 2012 when a football-related Port Said riot claimed more than 70 lives. He played for Egypt at under-20 and under-23 levels before making his senior debut and was the leading 2018 World Cup qualifying scorer in Africa with five goals.